In most cases, probate is easy to avoid, and yet many people fail to do so. 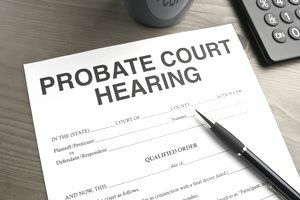 Below you will find a list of the four ways to avoid probate. What will work in your situation will depend on how your assets are titled and who you want to inherit your estate after you die. The most extreme way to avoid the probate of your estate is to get rid of all of your property because without any property you will not have an estate that will need to be probated. Of course, this really isn't practical since you will need money to live on until your death, but in certain cases giving most of your assets away through the use of a special type of trust of which you can be a beneficiary may make sense. Using this type of trust combined with one or more of the other techniques described below for any assets that are not transferred into the trust will mean no probate assets, and therefore no probate estate. Adding a joint owner to a bank account, investment account, or to the deed for real estate will also avoid probate, provided that it is clear that the account is owned as joint tenants with rights of survivorship and not as tenants in common. If you are married, then in certain states you and your spouse can own property with rights of survivorship in the form of tenancy by the entirety. In many cases adding a joint owner to an account or deed will be a taxable gift that needs to be reported to the IRS on a federal gift tax return (IRS Form 709). If a joint owner is sued or gets divorced, then a judgment creditor or divorcing spouse may be able to take some or even all of the assets in the joint account. If a joint owner dies before you do, then 50% or even 100% of the joint account could be included in the deceased owner's estate for estate tax purposes. If you are in a second or later marriage, leaving your property to your spouse by right of survivorship or tenancy by the entirety will mean that your spouse will be free to do whatever they want with your property after they die. This may not be what you want. In other words, you may want your spouse to have use of your property after you die, but then after your spouse later dies you may want your property to go to your own children. In this situation, joint ownership with right of survivorship or tenancy by the entirety will not accomplish your final wishes since your spouse may freely choose to leave your property to their children instead of your children, or even to a new spouse. If you own life insurance or assets held in a retirement account such as an IRA, 401(k), or annuity, then you are already taking advantage of probate avoidance through the use of beneficiary designations. What you may not know is that most states allow you to designate beneficiaries for your bank accounts (this is referred to as a "payable on death" or "POD" account), and also for your non-retirement investment accounts (this is referred to as a "transfer on death" or "TOD" account). In addition, a handful of states allow you designate beneficiaries for your real estate through the use of a transfer on death deed–or beneficiary deed–or affidavit. In other states, you can use a life estate deed to retain ownership of real estate during your lifetime and then pass the property onto the beneficiaries of your choice after you die without the need to probate the real estate. But signing the revocable living trust agreement by itself is not enough to avoid the probate of your property after you die. Instead, once the trust agreement is signed, you will need to take your assets and title them in the name of your trust. Only after your revocable living trust has become the record owner of your assets–instead of you–will the assets avoid probate. This is called funding the trust, and if you visualize your trust as a bucket, then you need to fill the bucket with your assets in order to ensure that the assets will avoid probate after you die. If any of your assets sit outside of the trust (bucket) at the time of your death, then the unfunded assets will need to be probated unless they have a beneficiary designation or are owned with rights of survivorship by someone who survives you. As you can see, there are only a limited number of ways to avoid probate. What will actually work for you will depend on your own unique family and financial situations. The bottom line is that by using one or more of the techniques described above to avoid the probate of your property, you will be creating peace of mind for you as well as peace of mind for your loved ones during a difficult time. What Are Some Compelling Reasons to Avoid Probate for Your Estate?